I have lotsa fruit, RED fruit, for you this Ruby Tuesday. 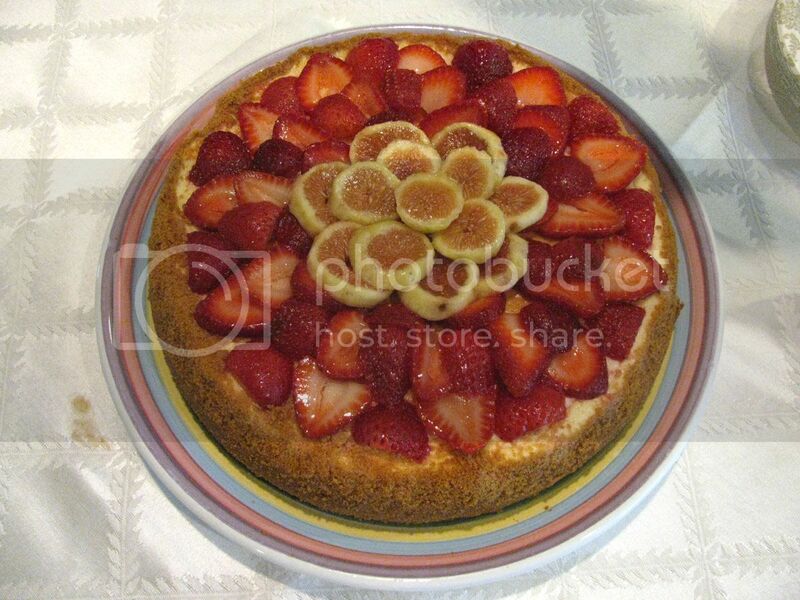 A homemade cheesecake topped with RED sliced strawberries and sliced figs. A beautiful storebought bouquet of cut-up fruit with RED whole strawberries. Visiting your Ruby Tuesday friends is so important! I try to visit but it's hard to get around to everyone. If each one of us visited a handful of bloggers we'd probably get to everyone, don't you think? Yummy. Fruit is so beautiful! Fruit can be so brightly coloured as your photos prove! Gorgeous! The strawberry cheesecake looks wonderful! I totally fell for the basket with cut up fruits. I'd emptied it in no time. Just now I'm about to munch a huge bowl of gooseberries and red currant harvested in our garden this very evening. So much healthier the fat snacks. Plus the lovely the taste and smell of late summer make my soul warm and happy too. That is one gorgeous cheese cake! Kudos. Looks like time for a party! The fruit looks so refreshing. Mary, please save me a piece, I will be over tonight! I can eat it all at once! In fact - I am on my way to fix myself something sweet! Okay I was already hungry. No fair! Oh yum. One of my favs. Pretty and yummy. Strawberries!!! When do we eat? I'll bring the pork loin. YUM! Cheesecake! You're invited to our next potluck. Both look delicious, but I'm really impressed by the fruit flowers. Wonderful! I can smell those strawberries! did you make the cheesecake Mary? it looks so yummy! Yum Mary. I'll be right over! How perfect for the summer! Was it a special occasion? Oh, lovely and yummy too, I'm sure! I'm such a sucker for beautiful food! BTW, thanks thanks for the post card. It's now displayed on my dresser. Everything looks sooooo tasty to me! Yummy! I'll bet that cheesecake was great! Thanks! I have never seen a bouquet of cut-up fruit before, yours is fantastic!! Holy smokes. I actually wrote this post early and posted on monday night and i am still way late compared to everyone else! My RT is up... with a bit of a story as well! Yum! Would you need help to eat all of it? Haha! Mmm delicious! It's been a while for me, so I'm back with tons of red Italian car pics. 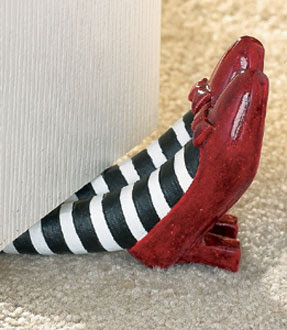 i am just a little tired beloved teach but i did manage a ruby tuesday post. i am still trying to catch up on my blog friends but i am soooo behind...have a great ruby tuesday. This looks so pretty!!! 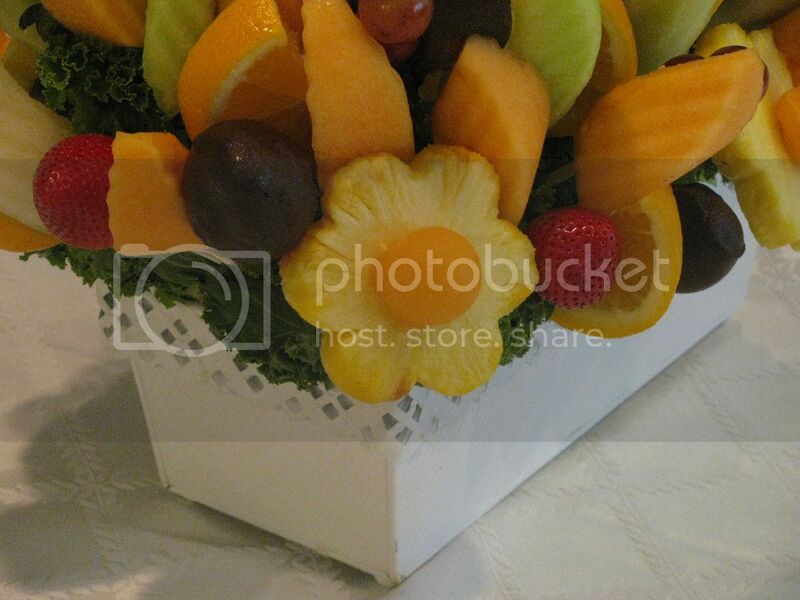 The fruit bouquet is a true work of art! I've never seen anything like it here! Mmmmmmm, :rubbing my tum tum:....delicious!! Today, for R T, I have a 2 minute You Tube I made of "Flamingo Fandango" ----a tour of the Botanical Gardens in our city. Oh my word those look so delicious! Oh, yum! Your photo looks good enough to eat! Mmmmmmmmmman alive! Is THAT what fresh figs look like? I've never had one! LOVE their cookies though! Oh yea... the strawberries look yummy too! In the pie AND the fresh fruit bouquet! GORGEOUS! YUM! That food all looks yummy. You have a yummy dessert..my first entry is up. Oh, how yummy and beautiful! I have a RT up this time! Yum! I love fresh figs! Fruit in season is always so luscious-looking. Thanks for the visual feast. The figs add an elegant and stylish touch to the cheesecake. I hadn't seen this before, but a sliver of this artistry, along with an Espresso, is a nice snack! Looks very delicious! I am so glad I stumbled on your game! very fun! I think I'll try it out. Now that's some tasty-looking ruby-ness. I wish you are wonderful day! What delicious shots you have this week. Think I had better go get some fruit for lunch. This week, mine is the first in a series of pics I took in an abandoned factory. There was a bit of RED in the rafters that caught my eye, and I knew it would make a Ruby Tuesday post @ It's A Blog Eat Blog World. That homemade cheesecake looks scrumptious, Mary! OK. Now I have drool on my keyboard.